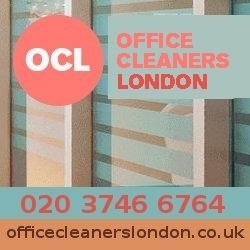 OCL delivers professional cleaning services to businesses in London. List of office cleaning services include but not limited to: contract cleaning, office carpet cleaning, commercial window and kitchen cleaning. OCL guarantees excellent results using eco-friendly detergents and modern equipment such as rope access to our window cleaners to reach tall business buildings.